TED Is All About Conversations — Not Action Items. Businesses, Take Note. The theme of the TED2017 conference I’m attending this week in Vancouver is a curious pick. Rather than whistling to Silicon Valley’s favorite tune—self-optimization, performance enhancement, and transhumanism—“The Future You” addresses the question of how we will form our identities and find purpose when much of our paid work may soon be delegated to machines. Furthermore, it refers to what is perhaps the greatest challenge of our time: how to cultivate our capacity to relate to others and appreciate the value of the immeasurable as a transactional winner-takes-all market society seeks to control all aspects of our lives. In other words: the challenge to develop moral imagination. “The Future You” is also about the future of TED, it seems. The organization is doing some serious soul-searching these days, asking itself whether ideas still matter in a world where the vision of a connected, global citizenry appears to be fizzling. Like so many businesses swept along by calls for “actionable ideas and insights” and ROI, for concrete metrics that demonstrate value, TED is considering an index to quantify the impact of the ideas shared on stage. But is that a good idea? Sure, there’s nothing more powerful than an idea whose time has come, as Victor Hugo famously said. But an idea whose time has not yet come might even be more powerful, especially if it is contrarian, critical, and possibly foolish. In other words, if its value is uncertain. Some ideas might take years, if not decades or centuries, until they turn into action and have tangible impact. And most ideas will never materialize, and yet they retain their very value as ideas—as beacons of hope, glimpses of what might be possible. 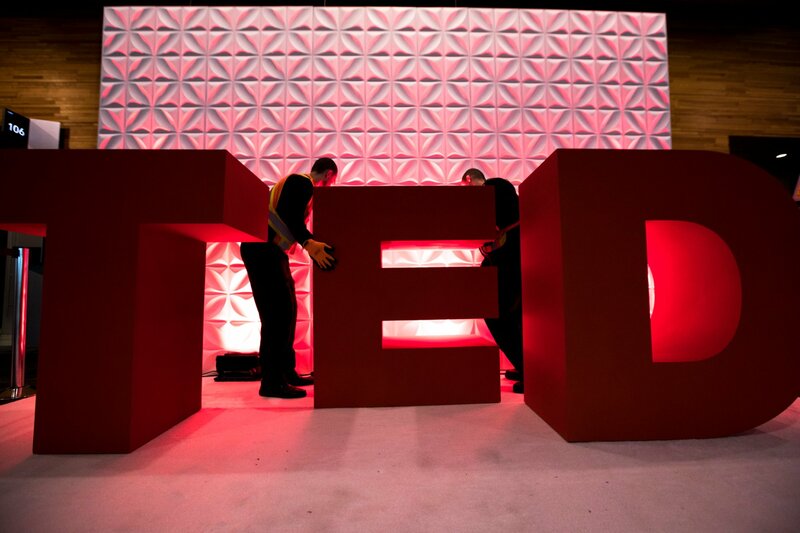 “An idea is anything that can change how people see the world,” says TED curator Chris Anderson. An action item it is not. Ideas are invaluable and should remain immeasurable. If we aim to quantify them, we might stop hearing the most outlandish ones, those that don’t instigate action but start conversations. Conversations are the fabric of our humanity. Conversations, not ideas—and definitely not action—are the true currency of TED. Business leaders should take note. Both ideas and conversations are often dismissed in their organizations: “All talk”—“You gotta walk the walk”—“How many leads did it generate? How did it increase our brand value? What did you learn that we can apply immediately? How did it affect the bottom line?”—“We need to turn this into a product, into software.” Sound familiar? Clearly, there is an action bias in business. Managers are paid (or at least feel that way) not for sitting idly but rather for taking action. Decisiveness is considered a strength. But that is an outdated view. First of all, inaction can be a blessing, and in an age obsessed with productivity, non-Western cultures can teach us the virtues of beinginstead of doing. Case in point: Research shows that in soccer a goal keeper who doesn’t move during a penalty kick has a better statistical chance of preventing a goal than the one who picks a side. Talk must not be cheap. The problem is not so much that we’re having conversations instead of actions. The problem is that we’re having the wrong conversations: alibi conversations with colleagues and reports; conversations about strategy when strategy has already been set; pseudo-democratic decision-making; pseudo-authentic customer conversations; “exit interviews” instead of honest departure conversations that acknowledge the emotional disorientation, even grief, when an employee leaves an organization. Conversation has immediate impact and often one that reverberates for years. Think of the most important moments in your career—how many of them were conversations? Conversation is action, conversation is everything. Conversational leadership will only grow in importance with the rise of AI, not only because interfaces will become conversational (IBM Watson, for example, has begun to hire playwrights and other conversationalists to help design more human, meaningful interactions), but also because conversations—with their innate ambiguity, complexity, and potential for misunderstandings—make us human. They are our oldest technology, and like all technology, we can use them to create or to destroy. In the best case, they help us understand and raise our collective human consciousness. With artificial intelligence becoming more intelligent every minute, that is definitely a cause worth fighting for. Conversation is not to be confused with collaboration, however, which seems to have become the lowest common denominator in many companies these days, resulting in a culture where we collaborate so fervently that we no longer get any work done, let alone, have time to think. The overemphasis on collaboration can also have a negative effect on performance, especially among high performers, as recent research has shown. A vibrant Slack channel doesn’t replace taking the time for a face-to-face meeting. Real conversation requires intimacy and vulnerability. In fact, sometimes the best conversation is no conversation. Not action, silence speaks louder than words. Steven Skala has talked eloquently about the power of what is notsaid. I recently took part in a Silent Dinner for 15 business leaders. By simply enjoying quiet time together, we created negative space for what truly mattered, an unspoken, sacred bond between all the strangers gathered around the table that became stronger with every minute the silence lasted. It was an unquantifiable two hours. Their impact was profound. This article appeared originally on LinkedIn as part of its special #TED2017 coverage.